The article discusses the history of technology as established in New Zealand, which has been very general. A detailed history of the development of industrial technology in New Zealand is highlighted. James Smithies has spent the last 18 months as a contract lecturer in the School of History, University of Canterbury. He has a PhD in New Zealand history and interests in the history of ideas, technology and literature. SMITHIES, James . 'The History of Technology and the History of New Zealand'. 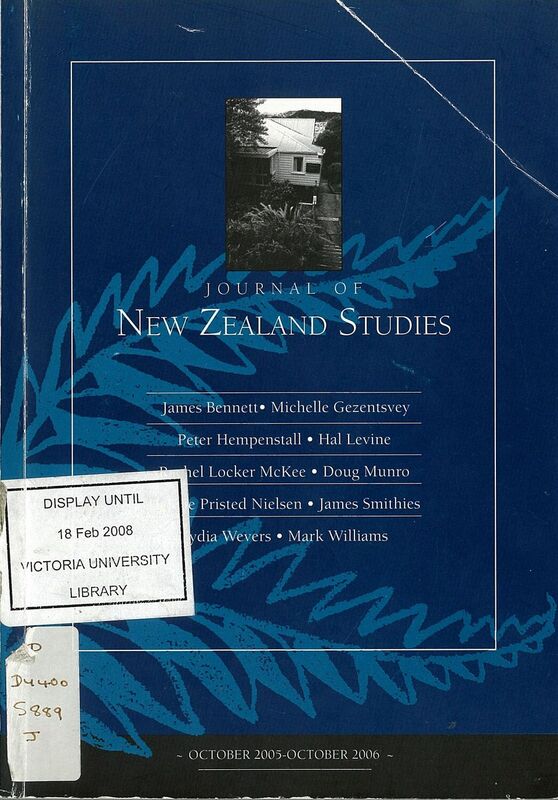 The Journal of New Zealand Studies, [S.l. ], n. 4/5, jan. 2006. ISSN 2324-3740. Available at: <https://ojs.victoria.ac.nz/jnzs/article/view/111>. Date accessed: 21 apr. 2019. doi: https://doi.org/10.26686/jnzs.v0i4/5.111.